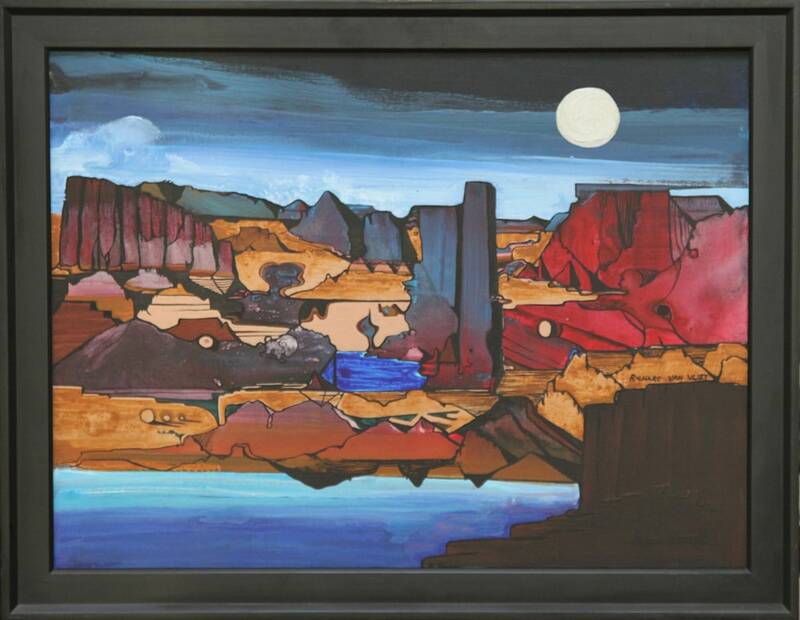 Arizona original acrylic landscape painting for sale. A desert visionary landscape fine art, Arizona. A silver moon illuminates a mesa and canyon landscape. 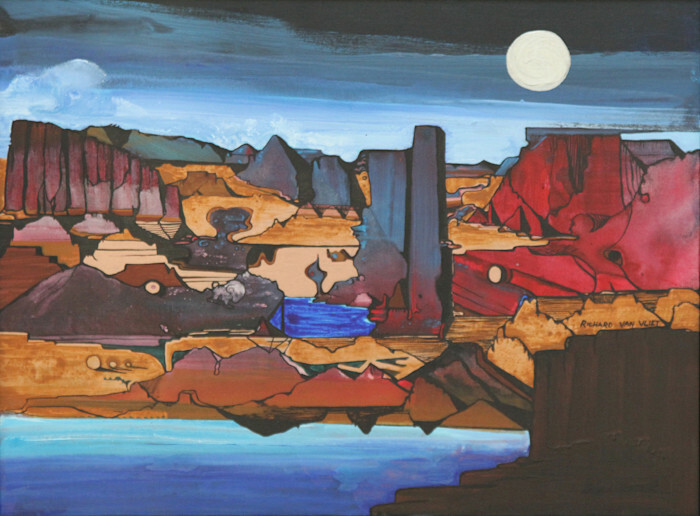 Brown cliffs and red mesa valley scene with a silver moon in the upper right, the desert Southwest beckons.